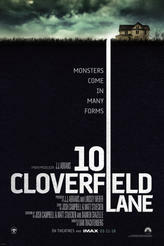 Erik Davis talks to the cast of the new J.J. Abrams produced film, 10 Cloverfield Lane. Looking for movie tickets? Enter your location to see which movie theaters are playing 10 Cloverfield Lane near you.